Well, to say I was busy in the past two weeks would be a minor understatement! I had people calling me, emailing me, and god knows what other forms of communication, including the time-sink of them all – Facebook!! So, while getting ready for Passover I also posted some four articles on my trip to Israel, this past December 2012. I have tons more to write up, but for now I need a break – LOL!!! Still, as I have said many times, this blog is more about my journal than a real peek into my insane life of wine. So, this Passover was the usual madness of hurray up and then wait and then hurray up and wait! Clean one part, boil water and wait. Clean something else, than wait for it to try, and then pour water – man these laws!! Anyway, in between all the madness I was posting about my Israel trip and never got to post about the wines I wanted to enjoy this Passover or even the past Shabbos wine! By the way, the Barbera was awesome from Ramat Naftaly, but man that bottle was crazy! The bottle had cracks going down both sides of the bottle. The cracks were actually done at the time the glass was blown, they need to do a better job of checking their bottles! 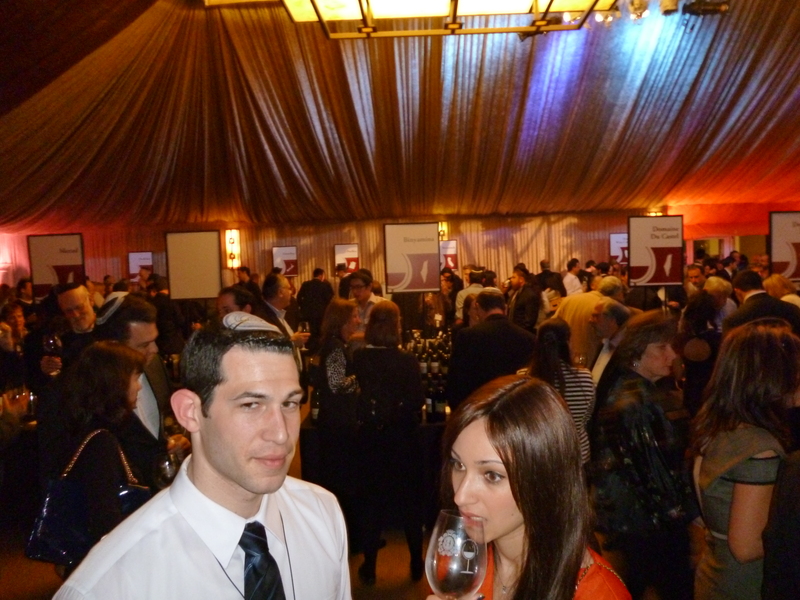 2012 Herzog International Wine Festival – a feast for all the senses under the big top! This past week I was under a big top enjoying kosher wines from around the world and Chef Aaron Todd’s sumptuous splendors were available for all to enjoy. The event was the 2012 Herzog International Food and Wine Festival (IFWF) that was being held at the stately Hyatt Regency Century Plaza in Century City. 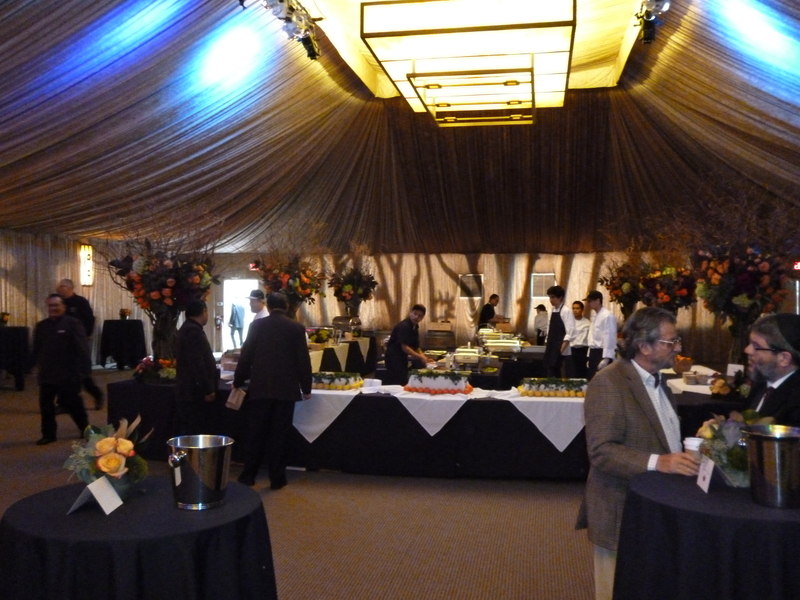 Last year’s event was held at the state-of-the-art Herzog Winery, in Oxnard CA. The intimate lighting and setting was lovely last year, but the combination of the Royal’s larger wine portfolio, the wonderful food, and the growing crowds made it feel like the event was getting too big for its britches. So, with much dismay we waited to hear where the event was going to move to. 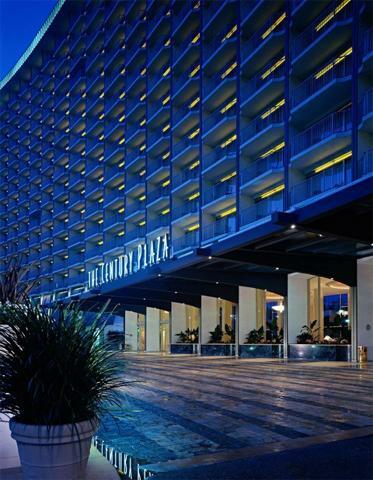 When the word came out that the event was going to be held at the legendary Hyatt Regency Century Plaza in Century City – the event became the must attend hot ticket event for everyone who enjoys food and wine in the LA area – which is about all Los Angelenos. Now before anyone thinks the event was held in the stately Los Angeles Ballroom – it was not. Actually, it was held in the lovely Plaza Pavilion, whose name does not even begin to give the unique 9,000+ square foot space its due. 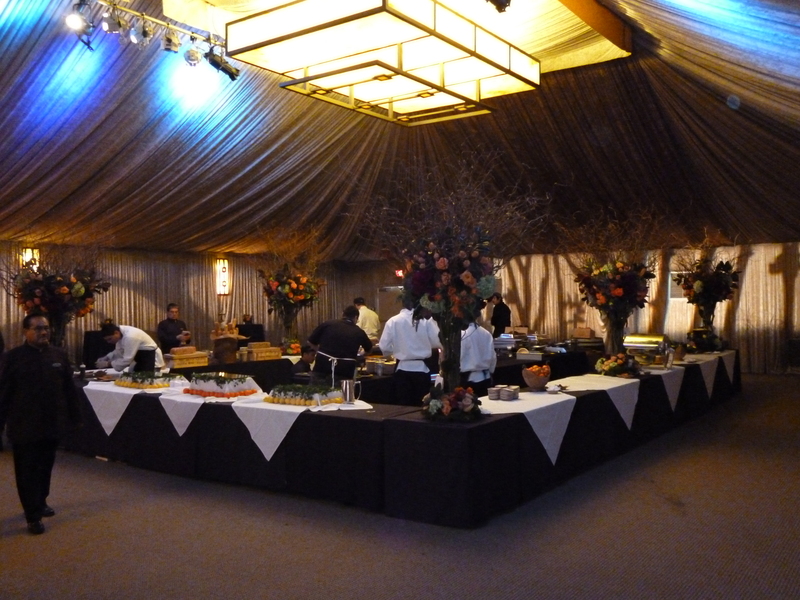 The event was moved from the somewhat cramped, yet intimate, setting of the winery to a beautiful tent that is a permanent fixture in the hotel and the social calendar of many a LA party hopper. Actually it is with good reason, if I may say so, as the room is a long rectangle with sufficient yet dim-able lighting and enough space to host the many food and wine stands that the 500 or so attendees partook of. Never during the evening did I feel cramped or claustrophobic like I did last year. Further, while the smell of charring wood and meat is a huge turn-on (for me), it totally messes with my olfactory abilities, which when attending a wine tasting (not drinking) event – really bites! There were copious examples of carnivore delights, which were all prepared on site, but the smells did not permeate the walls of the pavilion. The larger space allowed for more vertical sitting spaces with round tables, in case you were not heads down like I was tasting wines. Also, the ability to stroll out of the pavilion and sit in the reception area, a few feet away, made for a far more roomy feeling event. Finally, the pavilion’s lovely champagne, antique gold and chocolate-brown colors, along with the chandeliers and wall-to-wall carpeting made for an evening of sheer elegance and grandeur. Just an aside, while the surroundings were indeed attention grabbing, the guests who attended the event were equally well draped. Some came with tails and a top hat, others dressed to kill in evening ware gowns and suits. I of course, jeans and long sleeve shirt, however, the majority of the crowd were clearly channeling the elegance of the evening.